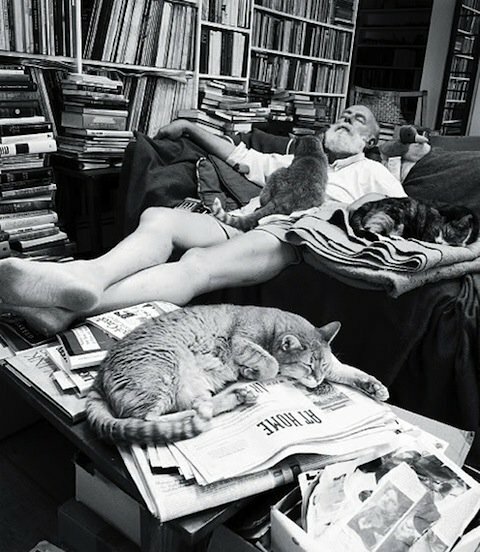 I have written about Edward St. John Gorey (1925-2000) — or, more specifically, his artwork — a couple of brief times here on Papergreat.1 But I never really knew much about Gorey himself. That changed over the past few weeks. First, I listened to the excellent Stuffed You Missed in History Class podcast about Gorey's life, which was an eye-opener and really piqued my curiosity. I didn't know, for example, that Gorey obsessively attended all of the performances of the New York City Ballet during the many years George Balanchine was its primary choreographer. And, much to my shame, I think, I did not know that Gorey was the creative force — his stamp is obvious — behind the 1977 Broadway revival of Bram Stoker's Dracula. I knew the Broadway play had been a launching pad for 1979's film version of Dracula, starring Frank Langella. But the Langella play and Langella film were very different; on Broadway, it was truly all Gorey's vision, and he won a Tony for costume design. 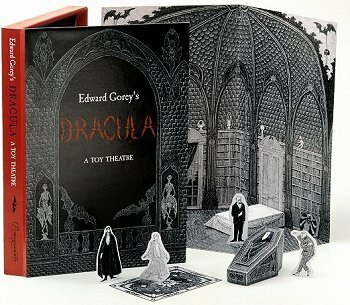 The image at the top of this post is from the paper-cutouts toy theater that is based on Gorey's Dracula and remains for sale today. Cats! Books! Beautiful old desks! Piles of stuff! More books! More cats! What's not to love about all this. 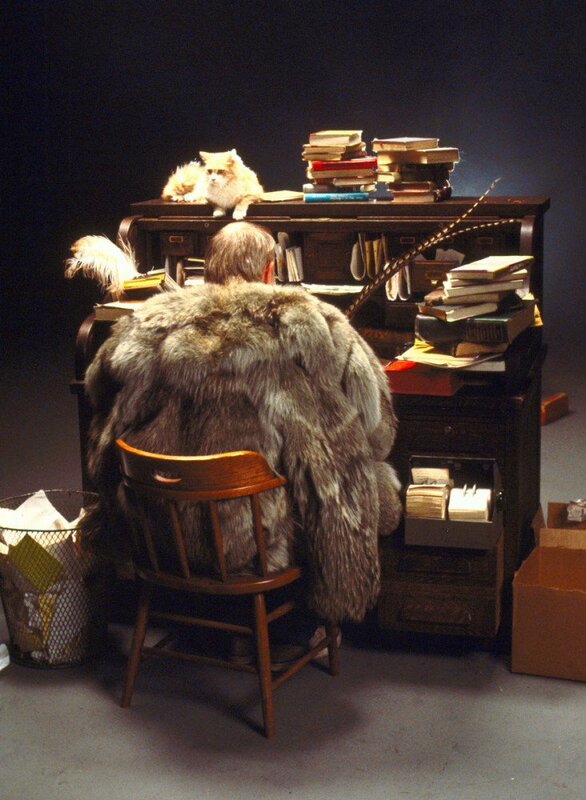 I think I want be be Edward Gorey. NPR: "The Life Of Edward Gorey, Told By An Old Friend"
Edward Gorey's fabulous cover art for "The Wanderer"
Solve air pollution with volcanoes?